Romanian clergyman and politician, Andrei Şaguna was born at Miskolc, beyond river Tisa (Tisza in Hungarian), in Hungary. His parents were Aromanians from Grabova, near Moscopolie. 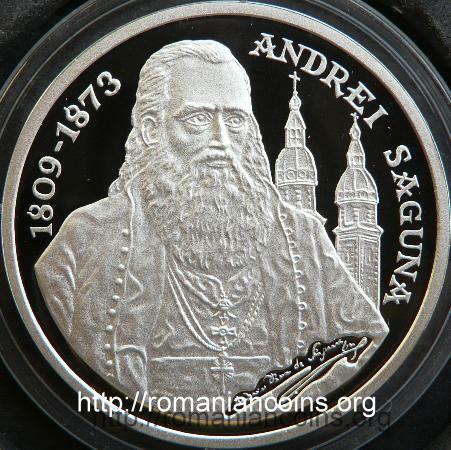 Starting from 1864 he was metropolitan of the Orthodox Romanians from Hungary and Transylvania. He was one of the presidents of the Great National Gathering of the Transylvanian Romanians that took place at Blaj, on the Liberty Field, on May 3rd-15th 1848. 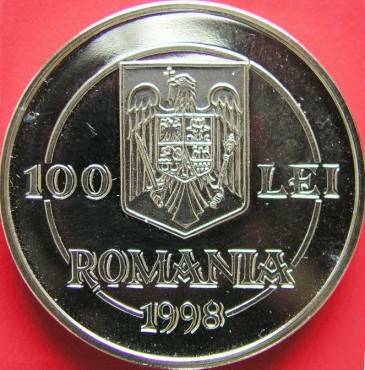 He also was the leader of the delegation that affirmed at Vienna, in front of the emperor, the rights of the Transylvanian Romanians (The National Petition). Andrei Şaguna has largely contributed to the development of the education in Romanian. In 1850 he installed the diocesan printing office at Sibiu; it functions still today. 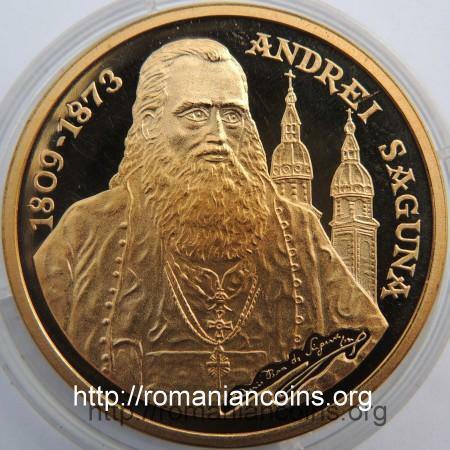 He was the first president of ASTRA (Transylvan Association for Romanian Literature and for Romanian People Culture, established in 1861 at Sibiu together with Timotei Cipariu, George Bariţiu and other leaders or the Transylvanian Romanians). 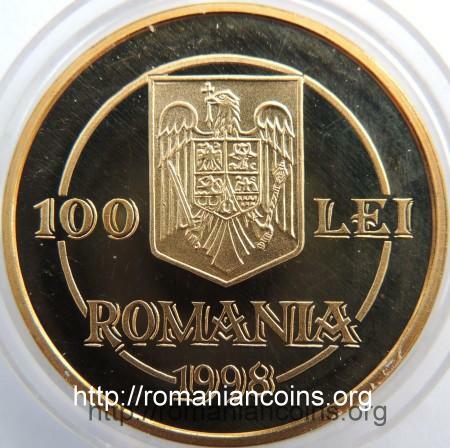 In 1871 he was elected honorary member of the Romanian Academy. 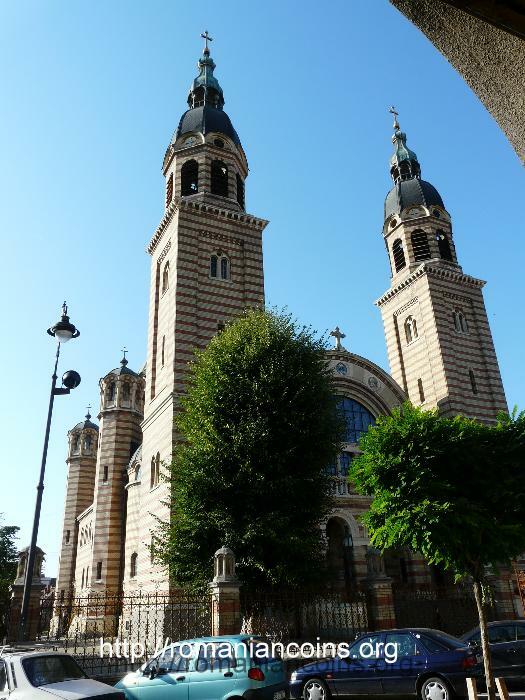 On the ecclesiastical field, Andrei Şaguna strove to achieve the emancipation of the Ortodox Romanian Church of Transylvania from the Serbian Church jurisdiction. Vicar in 1846, bishop in 1848, he achieved the restoration of the old Metropolitan of Transylvania in 1864, with the metropolitan seat at Sibiu. Andrei Şaguna reorganized the Theological and Pedagogic Institute of Sibiu (established in 1811). He accorded a remarkable attention to the "confessional" elementary schools, more than 2700 in Transylvania and Banat. Following the decision of the Holy Synod of the Romanian Orthodox Church from 21st of July 2011, Şaguna was canonized. The Canonization mess of the Holy Hierarch Andrei Şaguna took place on October the 29th at the metropolitan cathedral from Sibiu. The saint is celebrated on October the 30th. 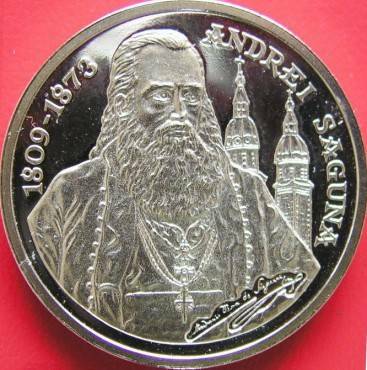 The cathedral of Sibiu, that appears on the coin behind the metropolitan Andrei Şaguna, was built between 1902 and 1906. 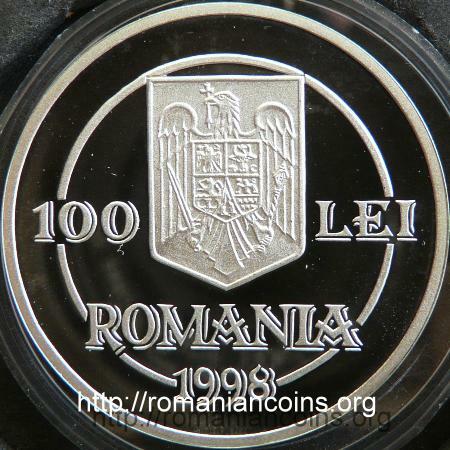 The aluminum essay pictures above are present on Romanian coins through the kind permission of Mr. Florin L..